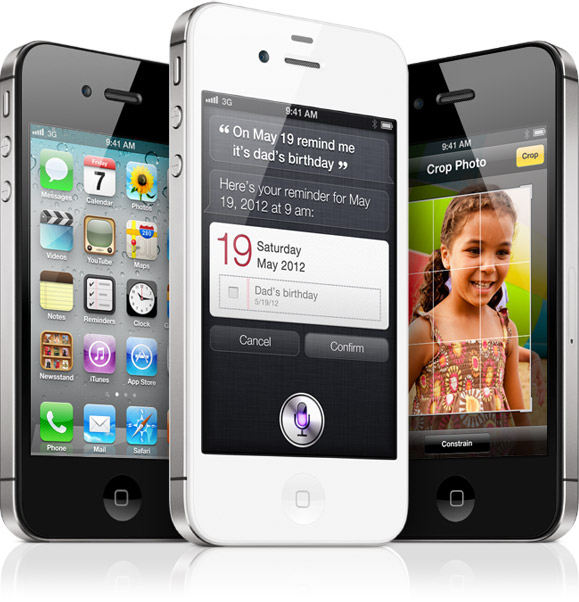 Despite the rumors of a newly redesigned iPhone 5, Apple has announced today its next generation iPhone dubbed the iPhone 4S. Boasting the same exact exterior design as of the iPhone 4, but with all-new interior in terms of specs. The new iPhone 4S has a dual-core A5 processor that's twice as fast with a dual-core GPU that's seven times faster. Another big improvement over the iPhone 4 is a new back facing camera with a faster 8-megapixel illuminated CMOS sensor that lets 73% more light in for better low-light performance, a 5-glass element lens (one more than the iPhone 4), f/2.4 aperture and full 1080p HD video recording. What stays the same is the 3.5" Retina Display and the same old glass form factor. iOS 5 brings many new features to the iPhone including Siri, an iPhone 4S exclusive intelligent voice assistant that lets you ask your iPhone 4S virtually anything, and it will do as you please. Things like setting an alarm, scheduling a meeting, sending messages, getting weather updates, search for great places to eat and so on. 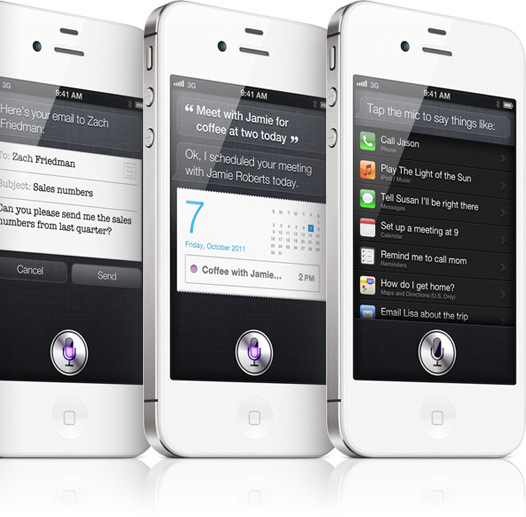 Siri will also put your voice into words for when you need to compose an email without having to type using dictation. Apple has improved the metal antenna band on the iPhone 4S with a system that intelligently switches the antenna parts for better call quality and reception. Data speeds have also improved with HSPA support for 14.4Mbps download speeds, but it's still not as fast as HSPA+ and LTE. The iPhone 4S will be available for AT&T, Verizon and Sprint in both black and white in 16GB, 32GB and 64GB flavors for $199, $299 and $399, respectively. Pre-orders start on October 7 followed by the release and availability on October 14.